Thanks Beth, for the very informative blog post. Despite the large number of Foundations and grantees currently on Twitter, I feel that there is a lack of community and conversation taking place amongst them. In general, I don't think many of the Foundations are tweeting and using #hashtags enough - especially the big players. I think community and conversation will increase with the creation and standardization of specific #hashtags (e.g. #hashtags for common Foundation program areas - environment, performing arts, etc.). This would help filter the already existing inundated #hashtags like #nonprofits and #philanthropy, and make tweets by Foundations serving more than one philanthropic interest more relevant and useful. In addition, #hashtags may help solve the personal vs. organizational issue since they filter tweets by topic of interest. As a result, more attention is put on the program/topic of interest and less attention is put on the Foundation and individual - that's actually how it should be in this industry right? Perhaps in a subsequent, but related post you could suggest a healthy list of #hashtags that every Foundation should be using in their tweets? Thanks Beth -- what a great analysis. I love the list of #hashtags idea and pledge to use them more if someone compiles and posts! Also, it might be useful to broaden the category to philanthropic orgs/philanthropists that tweet, and not just be limited to foundations. Great post, Beth. I'm not with a foundation, so it's easy for me to suggest my preference. Just seems that there's so much more to gain if the person Tweeting on behalf of his or her foundation did it as that person. I want to feel a connection to the person giving and receiving information. Doesn't quite feel the same talking or listening to a logo. Great analysis, Beth, thank you. Great question from Mr. Bechtler-Levin. Also curious to know whether the 90 Foundations that Tweet list accurately reflects the number of pure personal accounts -- for example, some people may have preferred not to disclose their foundation affiliation. 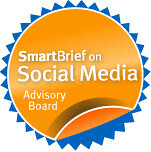 Hi Beth, here at UnLtd we also use social media for ongoing networking, community and resources for award winners (www.unltdworld.com) - we find it adds substantial value to recipients who often face similar problems. We also use Twitter extensively for interaction at conferences and participative events. And the organisational or personal question? has to be personal for anyone to take notice! This is great. I am always looking for leads. I'll be stopping by every day. This is wonderful post Beth, thank you!